Move over topknot, there’s a new bun in town. The sock bun—which uses a sock rolled into a doughnut shape to form the shape of the style—is everywhere these days. And for good reason: It’s a classy, glamorous look that just so happens to be a cinch to create. 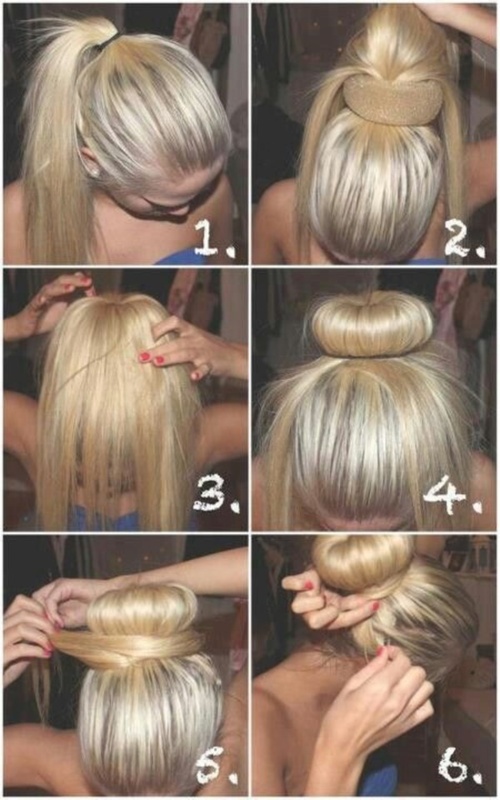 Choose your way through these easy step by step tutorials on how to make a sock bun and glam up your look! Cut off the toe area of the sock, and roll the fabric tube from the inside out into a doughnut shape. Pull hair back into a high ponytail and secure with elastic at the crown. Take small sections of hair in the ponytail and create a few braids out of them. 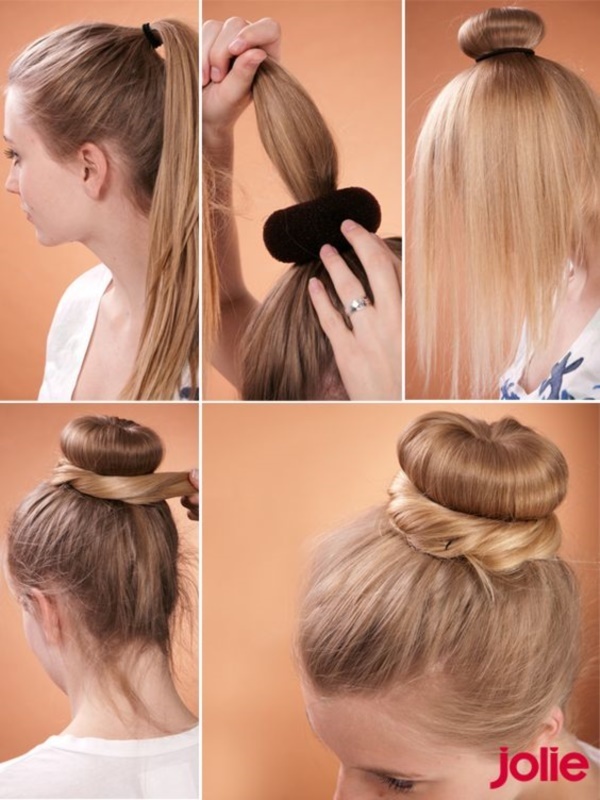 Now take the sock doughnut towards the tip of the ponytail and start rolling towards the direction of the crown. When finished, secure hair with bobby pins. 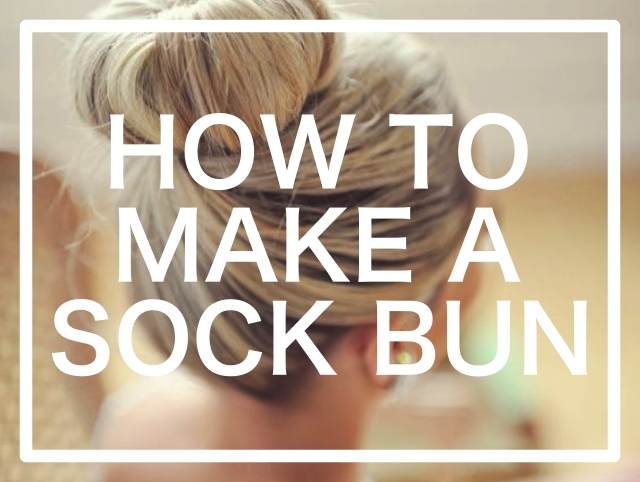 Be a pro with these step by step tutorials on how to make a sock bun. Pull hair back into a high ponytail and secure with elastic at the crown. Insert the sock doughnut into the ponytail. 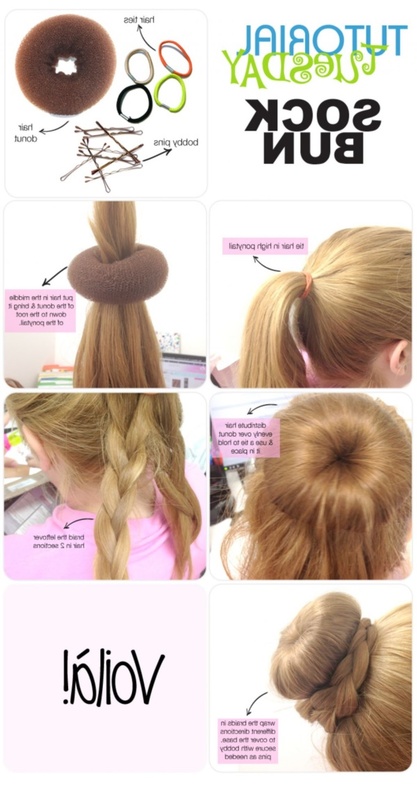 Cover the doughnut with hair all around and again secure the bun hair with elastic. Use bobby pins to tie extra hair. Take your hair game to a next level with these hairstyle tutorials. This is an illusion. Pull your hair back into a ponytail and secure with elastic. 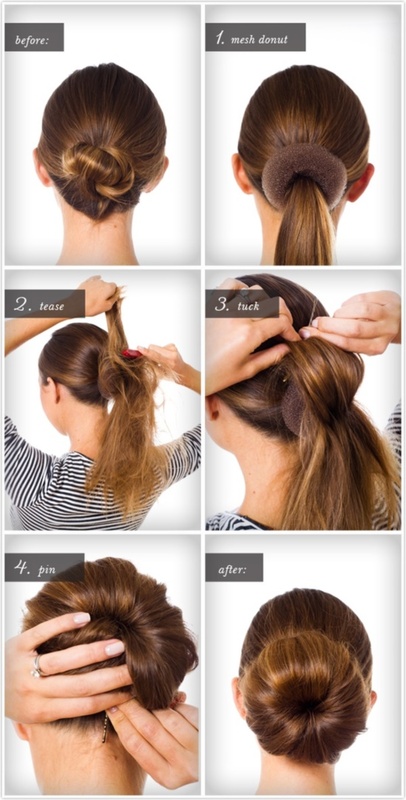 Tease your hair in the ponytail and tuck inwards like a bun with bobby pins. Viola! Perfect look. For this simple yet cute style, pull hair back into a high ponytail and secure with elastic at the crown. Now insert the sock doughnut in the ponytail and cover it with the hair all around. Secure the bun hair with an elastic and use the extra hair to create a band around the bun base and hide the elastic and secure them with a bobby pin or two. 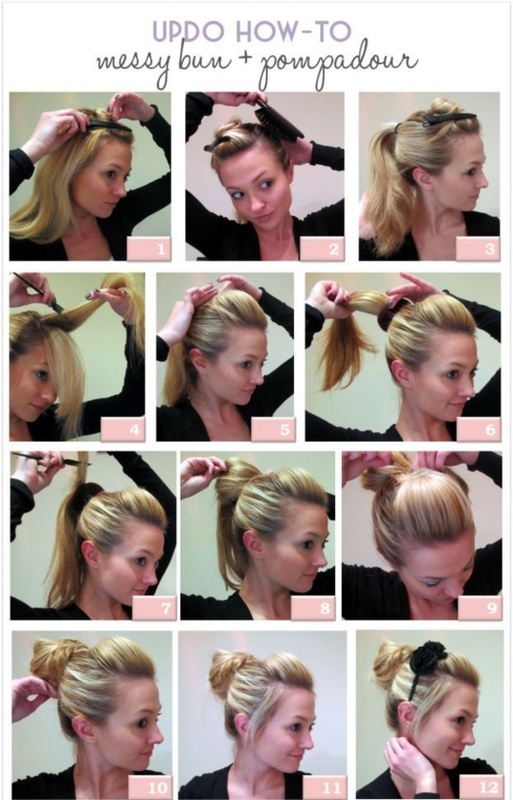 For this fun hairstyle, pull a high ponytail just like in above styles. Insert the sock doughnut in the ponytail and cover it up with hair all around. Secure the bun with an elastic. 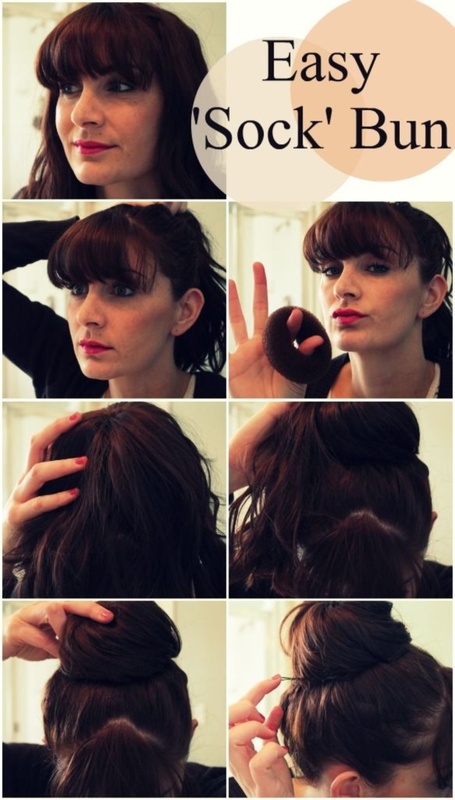 Now, twist the extra hair and wrap them around the base of bun and secure with a bobby pin. 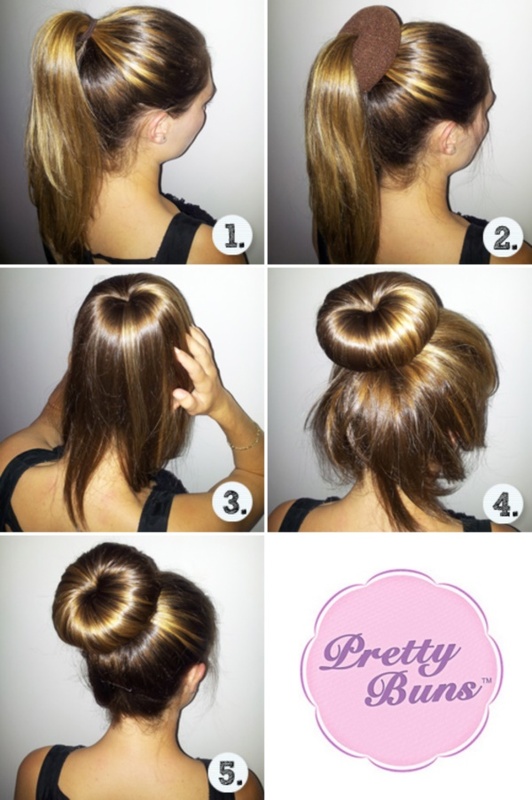 Perfect your Girls day out look with these step by step tutorials on how to make a sock bun. This style can be done in a minute and looks awesome. Pull hair back into a high ponytail and secure with an elastic. Now take the sock doughnut to the tip of the ponytail and twist your all your hair down to the crown area and fix extra hair with bobby pins. These hairstyle tutorials are perfect for those busy mornings and after office parties look. 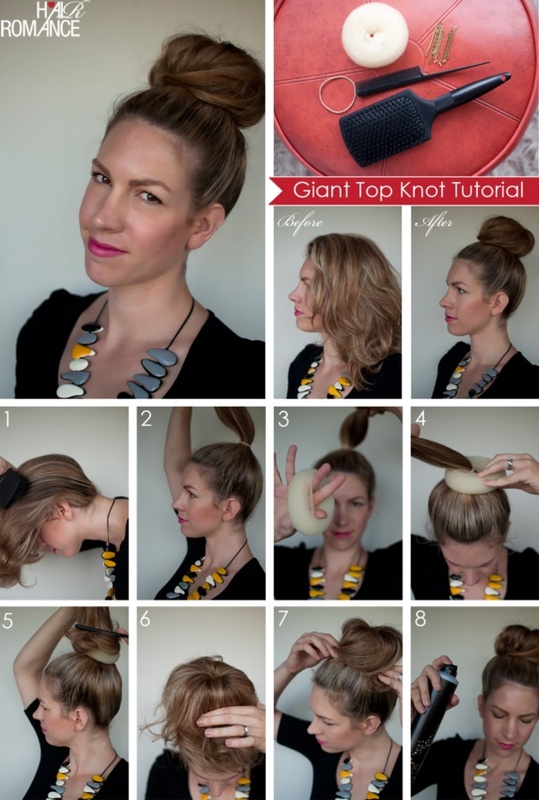 For this chic hairstyle, pull hair back into a ponytail and insert the sock doughnut in it. 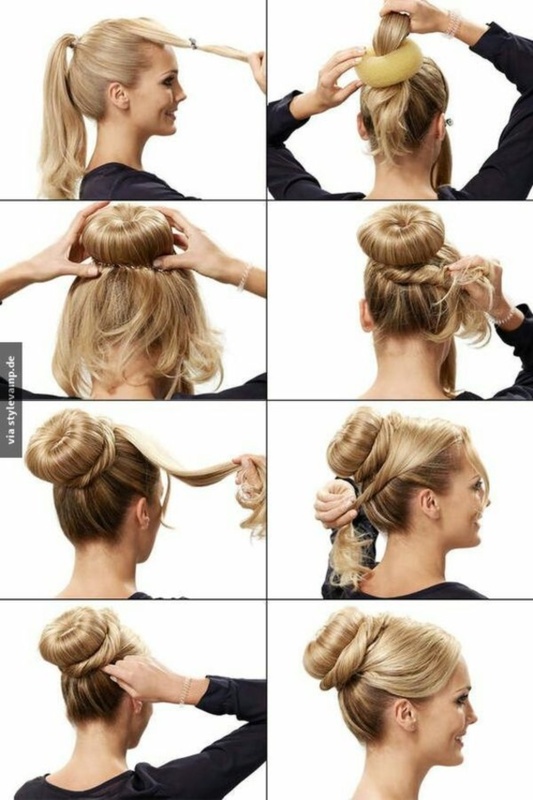 Tease up the hair in the ponytail and tuck them in the sck doughnut and make a bun. Secure extra hair with bobby pins. These hairstyle tutorials will help you get that wow look you have always wanted. For this style, cut the sock doughnut to create a tube. From the tip, roll up your hair with the tube and secure near your neck with bobby pins. Classy, isn’t it? 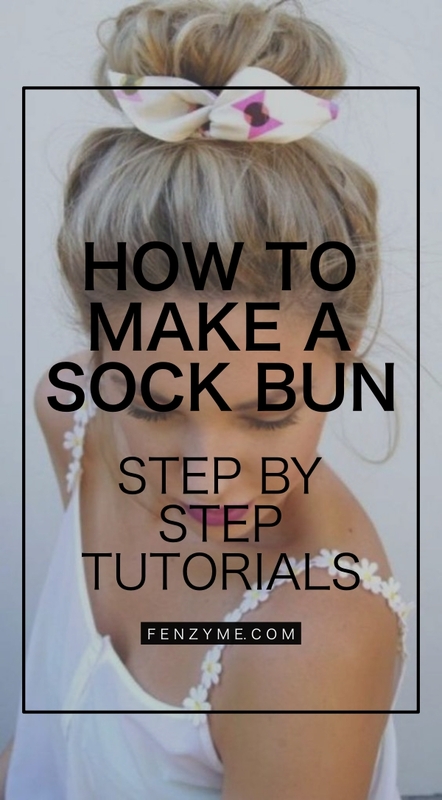 Just continue scrolling as we have some more step by step tutorials regarding how to make a sock bun. 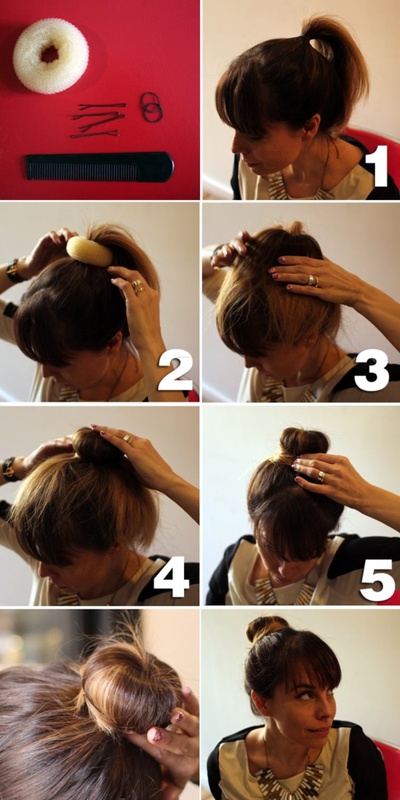 Be a total style savvy with these hairstyle tutorials on how to make a sock bun.